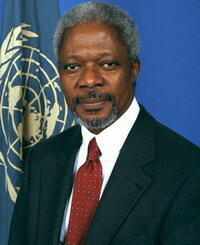 Annan, Kofi (1938- ), secretary general of the United Nations (UN), born in Ghana and educated in the United States. The first UN secretary general from sub-Saharan Africa, Annan began serving his first five-year term in 1997. In 2001 the UN General Assembly unanimously elected him to a second term, beginning in 2002. Annan shared the 2001 Nobel Peace Prize in recognition of his accomplishments as UN secretary general. Annan was born in Kumasi, Ghana. In 1961 he received a bachelor’s degree in economics from Macalester College in Saint Paul, Minnesota. After ten years of service with the UN, he attended the Massachusetts Institute of Technology, where he received a master’s degree in management in 1972. Until the late 1800s, most people went to bed soon after sunset. They used candles and oil or gas lamps for light. American inventor Thomas Edison changed the way people live when he invented the first practical light bulb. The light bulb was just one of more than 1,000 inventions created by one of the greatest inventors of all time. Thomas Alva Edison was born in Milan, Ohio, in 1847, and grew up in Port Huron, Michigan. He attended school for only three months. His mother taught him reading, writing, and arithmetic. 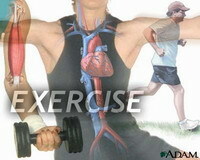 People exercise to keep healthy. They exercise to lose weight or to stay fit. They exercise to make their muscles bigger and stronger. Maybe you play soccer or some other sport for exercise. Getting exercise can be fun and can make you feel good. Exercise is a big part of staying physically fit. People who are physically fit are alert and full of energy. Exercise can also help people handle stress. Exercise is especially good for children, teens, and older persons. Dents1 in space, light in bundles2, and matter that turns into energy sound like science-fiction fantasies. However, Albert Einstein said they were real. Other scientists proved through observations3 that Einstein’s theories were right. 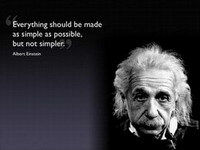 Einstein revolutionized the science of physics and helped bring in the atomic age. WHERE DID EINSTEIN GROW UP? Albert Einstein was born in Ulm, Germany, on March 14, 1879. He grew up in Germany, Italy, and Switzerland. Einstein taught himself geometry when he was 12 years old. School bored him because it required endless memorizing and reciting4. Adolf Hitler was a struggling young artist who became a feared dictator. He led his country into a bloody war that killed millions of people. Hitler rose to power in Germany in the 1930s. 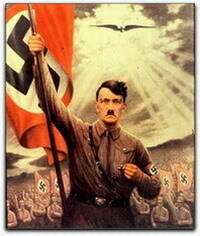 He eventually started World War II (1939-1945), a conflict that left Europe in ruins.